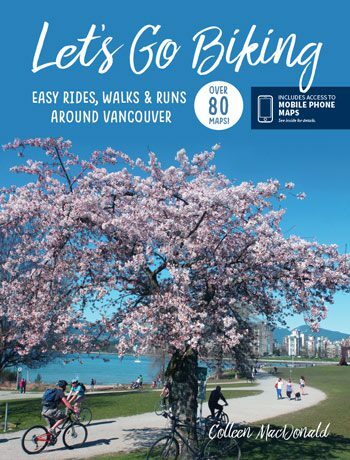 Poco Trail – Let's Go Biking! 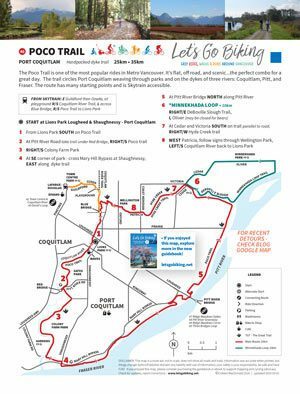 Poco Trail – Let's Go Biking! 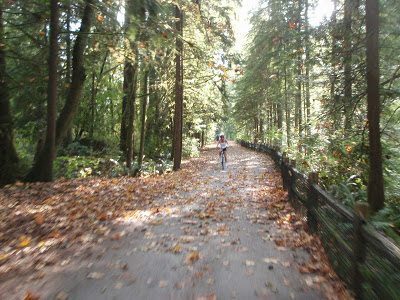 The Poco Trail is one of the most popular rides in Metro Vancouver. It’s flat, off road, and scenic…the perfect combo for a great day. The trail circles Port Coquitlam weaving through parks and on the dykes of three rivers: Coquitlam, Pitt, and Fraser. The route has many starting points and is Skytrain accessible. Part of the Poco Trail has a detour. Thanks to blog reader Shaun for this update: “The entrance to Colony Farm after the Red River bridge is closed. 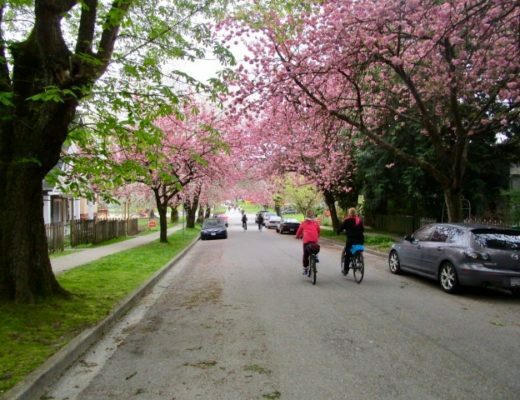 The re-route along Pitt River Road and Shaughnessy was a bit sketchy as there was no shoulder or bike lane.” And reader Marnie says, “My kids rode on the sidewalk away from the fast-moving cars. It was quite a climb up Shaughnessy.” Note that a new trail is being built along the Metro Parks/Sheep Paddock Trail, but won’t be open for another year, so riders will have to follow this detour: East on Pitt River Road, RIGHT/South Shaughnessy, RIGHT/West into Colony Farm at first unmarked trail, or second marked entrance to Colony Farm. 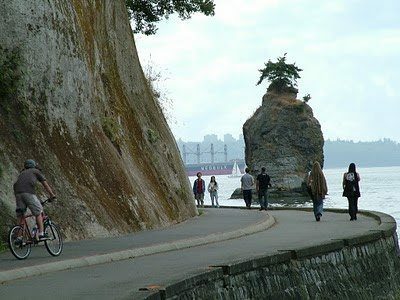 ~ A blog reader writes: “Another route is through Riverview, but the gated entry is tricky and crossing Lougheed is scary, but here it is: West on Pitt River Road over the red bridge, ride on MUP side path, at Lougheed use crosswalk, walk bike on narrow path on safe side of cement barriers. Enter narrow side of yellow gate, up Sorrel St, LEFT/S Pine Terrace, LEFT/S Cape Horn, cross lights and enter Colony Farm Park.” I have added these two routes to the blog map – zoom in. 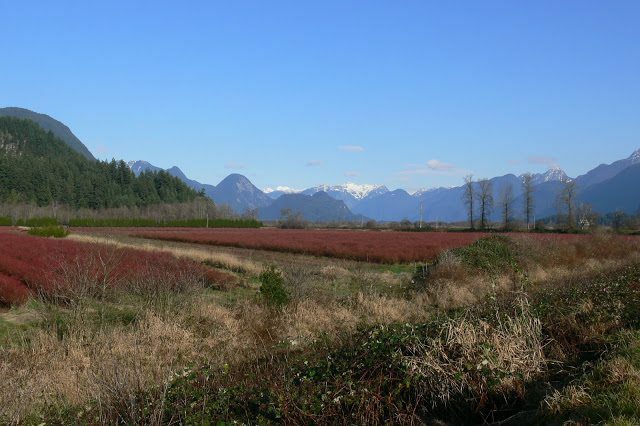 ~ Should you wish to write a letters of concern regarding these non -kids-or-seniors-friendly- detour they can be addressed to Mayor and Council of Port Coquitlam, Chief of Kwikwetlem First Nation and Metro Parks. 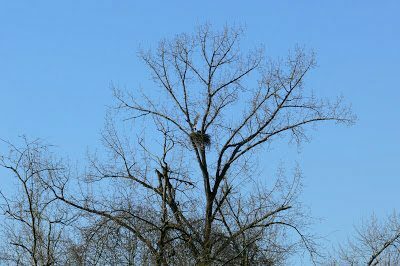 Eagle returning to nest with food — along the Pitt River dyke. 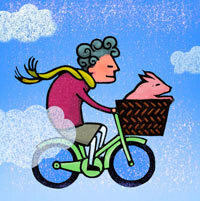 Keep your eyes open for eagles, herons, and hawks on this ride. 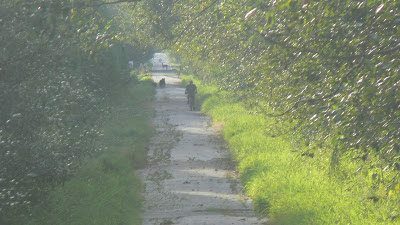 Oliver Road near Minnekhada – if bears are out, turn around and give them space. Hyde Creek Trail with crunchy fall leaves. Keep your eye open for salmon spawning in September and October.